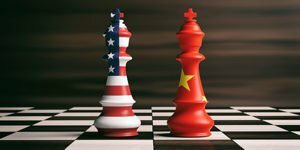 The Dow Jones today traded flat in pre-market trading after American trade officials asked to bolster annual exports to China to $200 billion, in an effort to reduce the trade imbalance between the two nations. Markets are likely to move on whether both countries – currently locked in negotiations – are able to make any progress on the American request. Now here's a closer look at today's Money Morning report, the most important market events, and stocks to watch. Facebook Inc. (Nasdaq: FB) is back in the news… but not for reasons that you think. Today, the embattled research firm Cambridge Analytica announced it would file for bankruptcy in the United States. The firm has been under siege since March, after allegations emerged that it had scraped data from Facebook and helped the Trump administration during the 2016 election. Overall, 87 million Facebook users had been impacted by the firm's data-scraping efforts. Crude oil prices hit their highest levels since late 2014 on Friday. Markets continue to react to supply pressures in the wake of U.S. President Donald Trump's decision to exit the Iran nuclear deal. Brent crude was back above $80.00 per barrel, as Iranian and Venezuelan supply pressures continue to weigh on the markets. This could be trouble for countries that consume large amounts of oil and natural gas moving forward, particularly as energy prices press food and consumer goods prices higher. Deere & Co. (NYSE: DE) stock was up 1.0% after the company reported earnings before the bell Friday. Markets largely ignored news that the firm fell short of earnings and revenue expectations on Wall Street. The firm reported EPS of $3.14 on top of $9.747 billion in revenue. Analysts expected $3.33 on $9.573 billion. Shares of Campbell Soup Co. (NYSE: CPB) plunged nearly 6% after the iconic soup giant fell short of revenue expectations before the bell. The firm easily beat Wall Street profit expectations after beating estimates by $0.10 per share. However, revenue was slightly below expectations. In addition, the firm's CEO suddenly announced his retirement. In deal news, PayPal Holdings Inc. (Nasdaq: PYPL) announced it was purchasing iZettle for $2.2 billion. This is PayPal's largest acquisition in company history and will provide the firm an entry into brick-and-mortar retail stores. Other firms reporting earnings include AstraZeneca Plc. (NYSE: AZN) and MakeMyTrip Ltd. (Nasdaq: MMTY).